Doesn't the name make you drool? 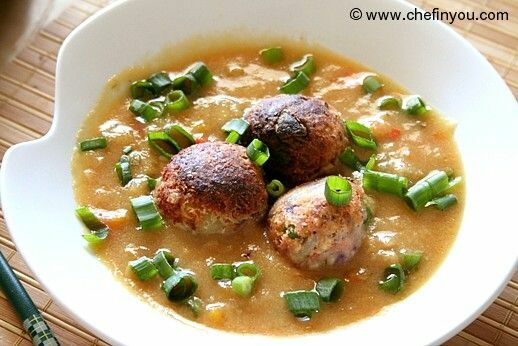 When I have my off days from my so called "diet" or when the cravings gets too much out of control or when guests pop in, then I consider those moments the perfect ones to make this Malai (cream) Kofta (fried balls of vegetables/meat). 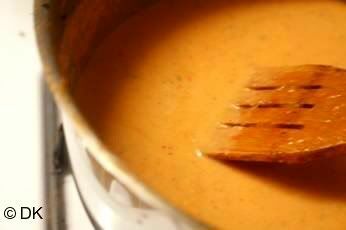 It does involve a considerable effort to make but the result is worth every millisecond put in and some.There are many versions of Malai Kofta which are made with meat but mine obviously is going to be vegetarian version where I have replaced the meat with Paneer (Indian Cottage Cheese)along with vegetables. In a pan in little ghee, saute onions, ginger-garlic paste along with tomatoes and salt until soft. Set aside to cool. 2. 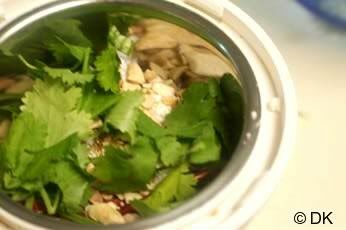 Now grind the first 8 ingredients together. 3. 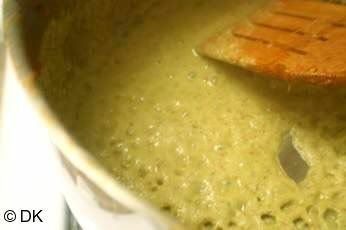 In the same pan, in a tsp of ghee, saute this ground mixture until the raw smell leaves. 4. 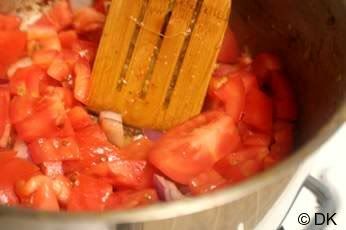 Process the cooled tomato-onion mixture until smooth. 5. 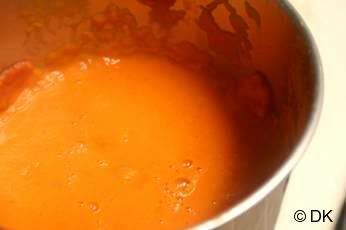 Add this mixture to the ground paste and let it simmer for 10 min.Add the milk, sugar and cream and simmer some more for another 10min. 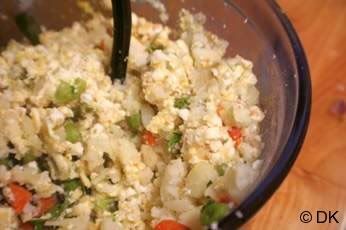 Add all the ingredients together, and mash it well. 7. Make small balls out of it. 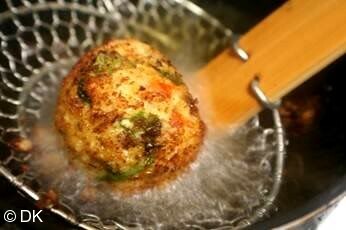 Deep fry these balls and set aside. 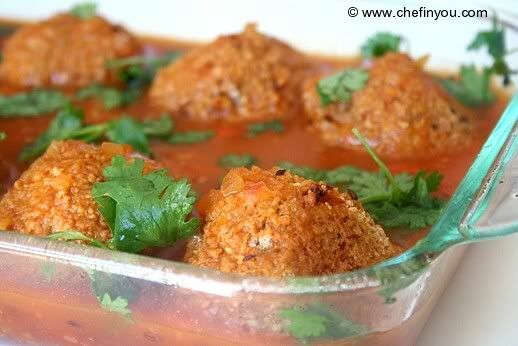 Just about 20 min before serving, drop the Koftas inside the gravy, add kasuri methi and let it absorb the gravy. Garnish with cilantro and serve hot with cream (optional).Ta-Da – Done! 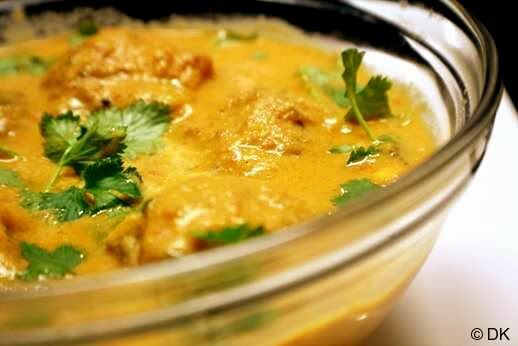 Now you have a scrumptious Malai kofta all ready for feasting! Thank U for the wonderful receipe.... it was really delicious!!! Just curious, what happens to the fennel seeds & the garam masala? Thanks. Hi, Can the koftas be made with only Paneer? 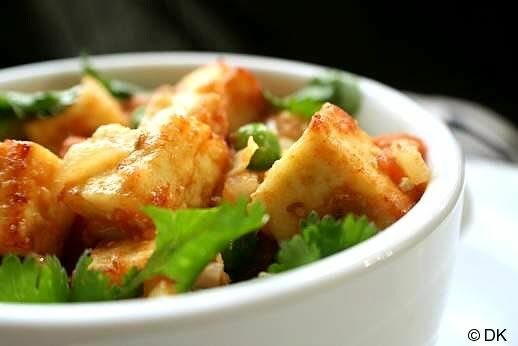 Or will they fall apart if it's only Paneer? Just discovered this site... how awesome! I'll be pinning a lot of these recipes to my Pinterest boards!!! I love the "I made this" feature. 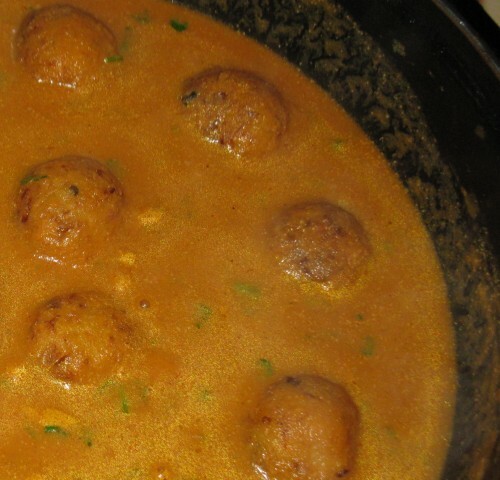 hi dk :lol: made this recipe yesterday changes i made is i made koftas with minced meat and it turned out simply delicious and the gravy was ummmmmmmmmmm yummmyyy :roll: thanks for the recipe. This sauce was amazing. One of the first times I have felt my recipe was actually better than an Indian restaurant meal. I did however use a slightly different kofta recipe, using mashed potato, with herbs spices to which I added to the centre a mixture of nuts, garlic ginger, raisins. I will be definitely making this recipe for many years to come! 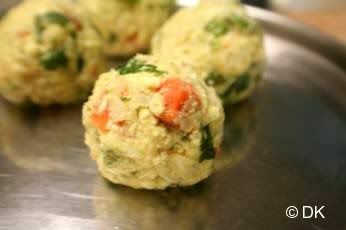 :-D Hello, I was browsing through some recipes and I happened to come across yours. Its simply superb and very very tempting. Your pics are just great enough to secrete saliva. I do believe now that the appearance too makes a great impact to the taste of it. Keep it up. Love the way you use pictures...one gets the feel of how the dish should look every step of the way. Very inspiring. Way to go! not fair to tempt us like this! Another mouth-watering delicacy from your kitchen. Awesome,I am sure u r fattening us ,so that instead of racing we are slowly chugging along. Perfect and bookmarked.GOD,I love this,but sure all the diet will fly away once I make this.. Long list of ingredients,but the effort is worth it. Koftas looks great, I would just eat them up :). Never tried at home .. I know this takes a lot of effort but worth it. Looks rich and creamy. DK...you are making us drooooooliciously drool..;-)lolz...I simply love malai kofta and feel the name itself is tempting enough..;-)...I always thought it was veg..there are non-veg variations too..? ?never heard of it!! u r unforgivable. Thanks to ur yummy koftas, I am hungry now n u know what's the time here : 6:26am :(. Pass me the bowl or else I will never talk to u. Hehehe. Wow totally agree about epitomie of droooliness. Bookmarking them, i tried to make veg kofta once and the moment i deep fried them, i saw them diapearing into tiny pieces into the oil, you can imagine my depair seeing it. Will sure try this one. 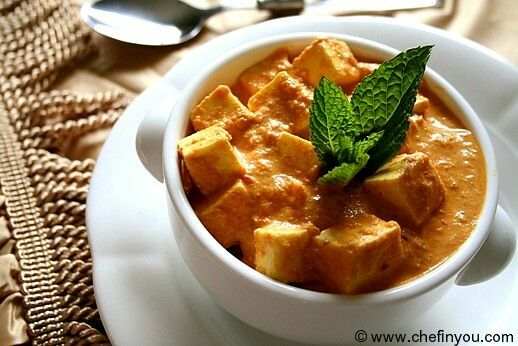 Tempting treats with paneer, love to grab some koftas from the pic..looks delicious, yummy..